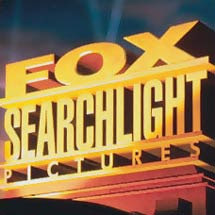 It has become common for many of the large studios to create an independent brand for there pictures...the brand for 20th Century Fox is Fox Searchlight. This independent brand has done remarkably well in my opinion at keeping there release schedule limited, but also giving enough marketing attention to the products that they pick up to keep them in the public eye, in the theaters, and on the rental shelf. The brand started in 1994, and produced only a limited number of films, but created Academy action with 2 of it's 1990 films, in 1997 The Full Monty (1 win, 4 nods) and Boys Don't Cry (2 nods, including Hilary Swank's Oscar win). Since then it has had a significant number of Academy accolades especially for the slim number of films that get branded by the Fox Searchlight brand. In 2000 Fox Searchlight only released one film, Qulls, which received 3 Oscar nods. In 2004 they released Sideways (5 nods with 1 win) and Kinsey (1 nod). Plus, some crowd favorites like Napolean Dynamite, I ♥ Huckabees, and Garden State. In 2006 they expanded there plate to the fullest year ever for the Searchlight brand with 11 films. While the Last King of Scotland won best actor, Water received a foreign film nod, Notes on a Scandal was nominated for 4 Oscars, and other films received critical buzz like the History Boys and Thank You For Smoking, one of their films stood out from the rest...the well loved, 2 Oscar winning (4 nods) film Little Miss Sunshine. Similarly 2007 saw a couple significant successes with the small films Once (best Song winner), and The Savages (2 noms)...with again, one significant player Juno (4 noms, including the win for writer Diablo Cody). Will Fox Searchlight continue there streak with multiple films getting nods, including one super-loved low budget film with the critical love and the box office to support it? Honestly, the 2008 Fox Searchlight Pictures Schedule seemed week for 2008 with only The Secret Life of Bees, Choke, Street Kings, and 500 Days of Summer on the Schedule. That is until recently. At the Toronto International Film Festival, Fox Searchlight picked up the film The Wrestler, which stars Mickey Rourke as (the fictional) retired professional wrestler Randy "The Ram" Robinson. The film initially has scoured tons of buzz for Mickey Rourke in this performance. The best actor race is a tough race to break into this year with many strong contenders, but I have to say that Fox Searchlight's endorsement means alot because they have helped many smaller films get Oscar love and bring there smaller performance to the main stage (Hilary Swank, Ellen Page, Laura Linney, Abigail Breslin, Alan Alda). But even more so, beyond Mickey Rourke, I wonder what other categories The Wrestler should be considered in? Would these be a time to honor avante garde director Darren Aronofsky (Pi, Requim for A Dream, The Fountain)? 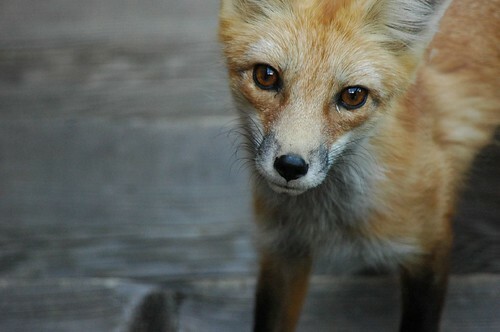 What about co-stars Marisa Tomei or Evan Rachel Wood? Or Robert D. Siegel's screenplay? Could The Wrestler be another FoxSearchlight Gem? I am very curious about The Wrestler, b/c until The Fountain, I didn't like Aronofsky's films. I though Pi was head-in-a$$ cinema, and Requiem... ugh... I despise that film to the fullest. The Fountain ... despite some hiccups ... was touching in a very unique way.